Nike claims these are the first running shoes to feature 3D printed uppers. The uppers are made from a material called Flyprint, which is created using solid deposit modeling. With this method, a plastic filament is unwound from a coil, melted down, and laid down in layers to form the shoe. 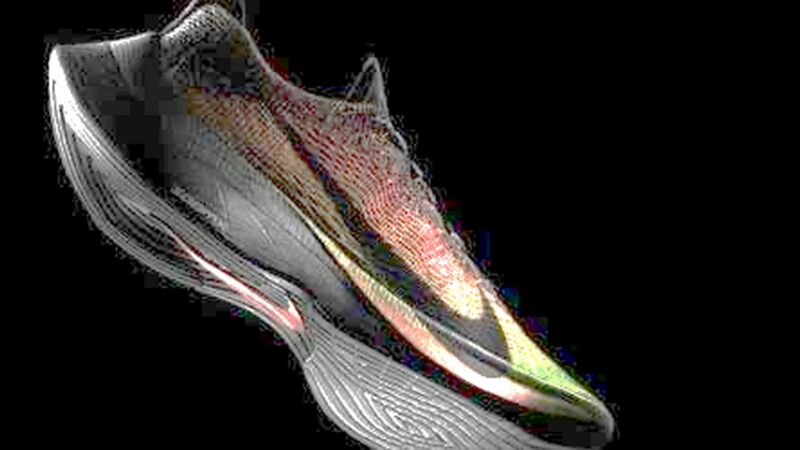 The shoe is the result of collaboration with the athlete Eliud Kipchoge, who tried to beat the marathon time with Nike’s Zoom Vaporfly Elite trainers. Kipchoge said that the shoe’s upper absorbed water making his shoes heavy as he tried to move around the course.